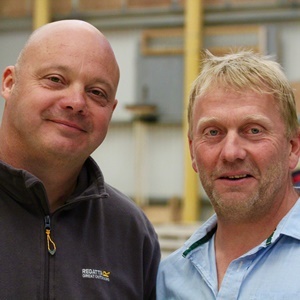 Britian’s best known builders Chris Frediani and Julian Perryman are Nick Knowles’s DIY SOS & The Big Build TV team mates and are in great demand as a duo for speeches, demos, workshops and personal appearances. Chris Frediani & Julian Perryman met at junior school so they have known each other a very long time. Although they run their own separate businesses they often worked together prior to DIY SOS and they landed their TV roles when working for the mother of one of the BBC’s researchers. The daughter telephoned whilst they were busy building an extention and when she told her mother she was working on a new programme and was looking for some highly skilled and charismatic experts, her mother told her look no further. Chris had learned to plaster the old-fashioned way, starting at the bottom of the trade at the age of 17 and working his way up. He has worked in Britain and abroad, on both modern and traditional projects. He’s been in DIY SOS since series one and always has a positive attitude to the job in hand. Julian started his career at 16, building houses with his father. 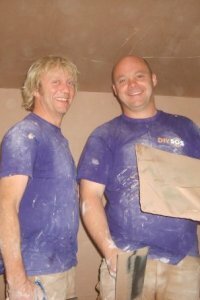 He’s a skilled and versatile builder but is often kept busy on the show with less structural jobs like plastering. He has a broad knowledge of both modern and traditional properties, and has a good sense of humour that never fails to brighten the most adverse of DIY situations. 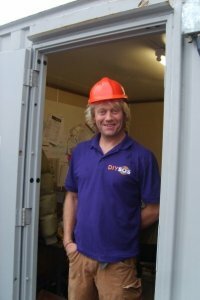 He too has been with DIY SOS since series one. Both Chris and Julian were very professional. They got involved and mixed well with the students on the day, sharing their knowledge and experiences in the building industry which added a real value to our event. Interested in Chris Frediani & Julian Perryman?